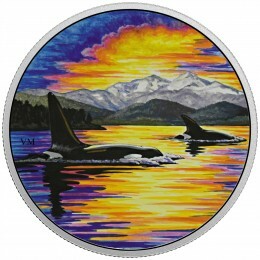 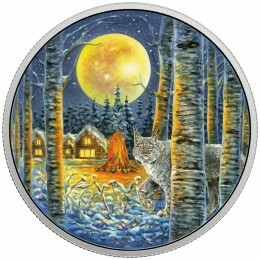 Issued by the Royal Canadian Mint, the 2007 Canadian $30 Animals in the Moonlight 4-Coin Series features wildlife in the glow of the moon's light. 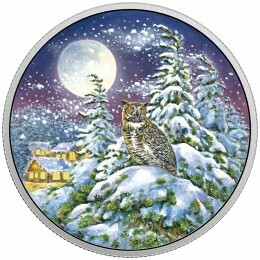 Coins are composed of 99.99% silver with proof, coloured finish and glow-in-the-dark technology. 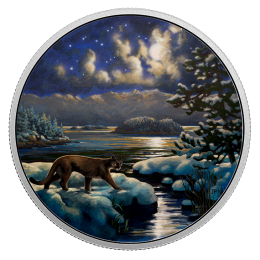 Showcasing coin designs of the cougar, lynx, orcas and great horned owl.